systems that address local needs. call centre style of consultation, available 24/7. sometimes more cost-effective than meeting in person. 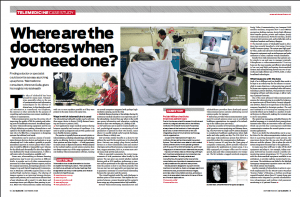 Read the full article: Where are the doctors when you need one?